But if there’s one lesson I’ve learned over the past decade it’s this: fear is a good compass for life. So I agreed to the podcast, and then spent time coming up with stories to share, because you don’t want to be that guest talking nonsense. When Farnoosh started recording our conversation my mouth went dry and my heart started pounding and looking back now it’s almost laughable. That’s the thing though: it will always be scary when you do something for the first time. Scared is the way you’re going to feel until you do that thing a few times, but what you’re doing is turning the unfamiliar into the familiar. Think about the last big market correction. In 2008 there was the housing bubble followed by the financial crisis and it’s been so long now that people don’t even remember it. If you’re new to investing you’ve never been through something like that before, and so you don’t know how it’s going to end. So what’s the worst case scenario we can play out? How about you invested $10,000 in an S&P 500 index fund right before the big drop. Say you made that investment in February 2007. 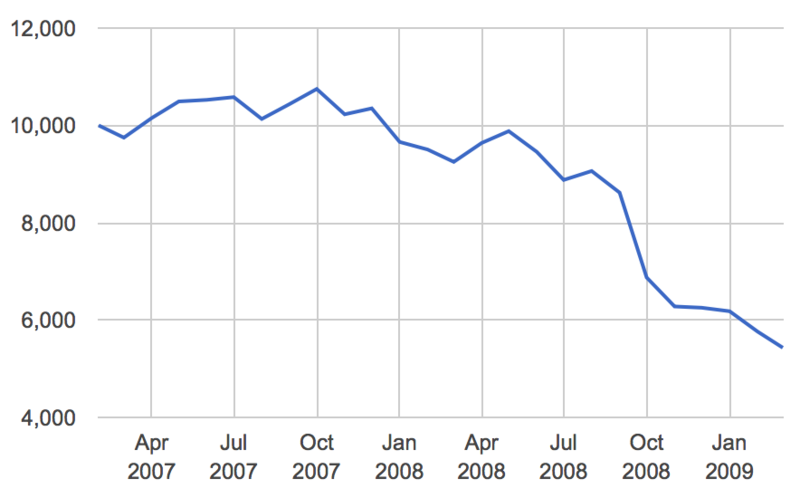 By March 2009 your investment would have lost 50% of it’s value. Ouch. But by April 2011 you’re at breakeven. 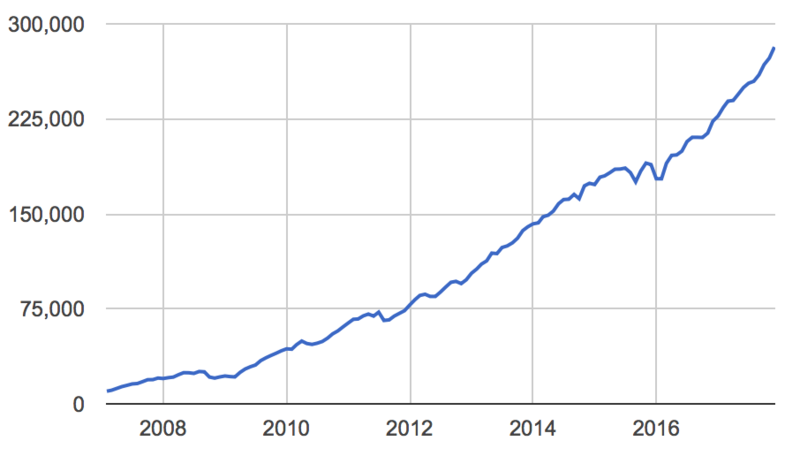 Better yet, by February 2017 — 10 years after you invested at the peak of the market — you would have doubled your money. What if you were investing some money every month alongside your initial $10,000 investment. What happens then? 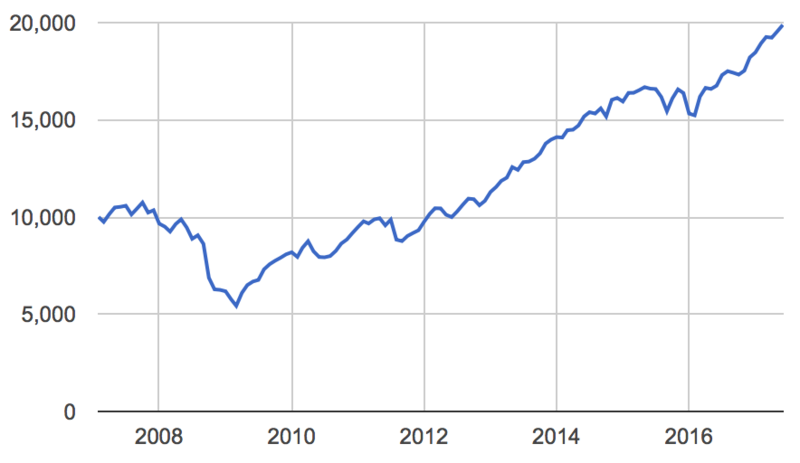 For one, the S&P 500 was heavily discounted throughout 2008 and 2009. You were buying more shares for your money. And then you’d be buying shares as the market continued climbing the following years. Here, let me show you what that difference looks like, between investing a lump sum of $10,000 at the peak of the market, and investing that same lump sum plus an additional $1,000 per month. Wow, by the end of 2017 you’d have nearly $300,000. So what can we learn from this? 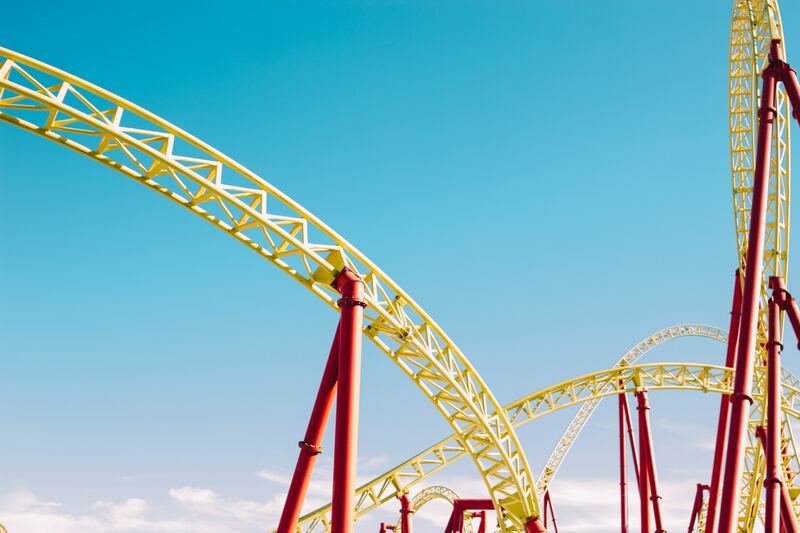 Investing through the ups and downs of the market is a simple yet powerful way to build serious wealth, even when you’re “getting in” at the worst possible time. What I’m trying to say is we spend a lot of time worrying about what the market is going to do next when we should just let the market do what the market is going to do. The S&P 500 closed at an all-time high this past September before entering a bear market on Christmas Eve, meaning the market had dropped 20% from that high. 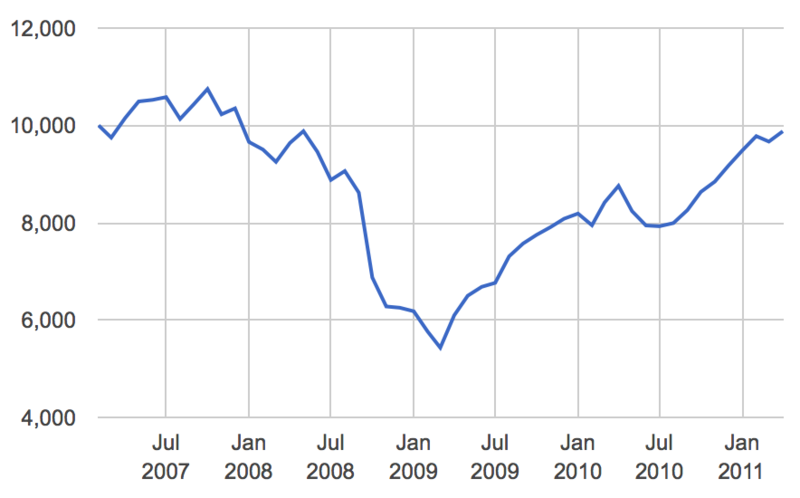 The reality is there will always be market drawdowns like this. 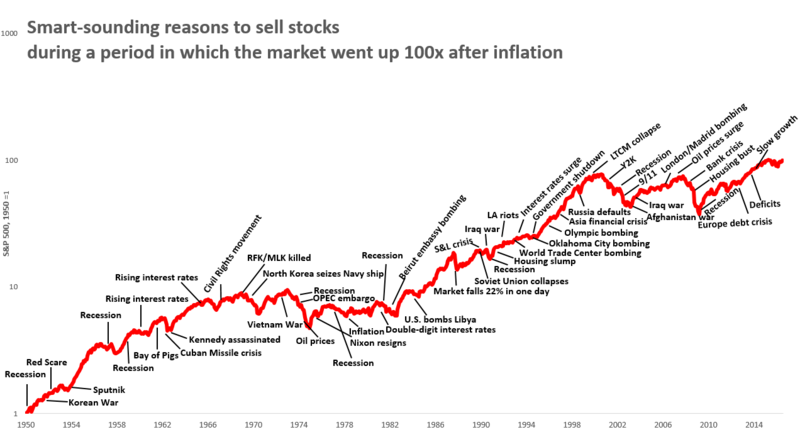 In fact, Morgan Housel made this chart showing there’s never a time in history without them. When the market drops 20% you can bet analysts will trot out the bad times — the Great Recession, the dot-com bubble, the 1987 crash, the Great Depression — but to say this time it’s different. Things will turn out differently. But if you’re sitting there looking at this chart, and you see that the market has always recovered and gone on to new highs, how can you believe that? And the way you do that is by turning the unfamiliar into the familiar. I can sit here and tell you everything will be okay. Remind you market fluctuations are completely normal. That if you stay the course you’ll be rewarded. It’s well intentioned. Nice you said that. Yet the only way you can possibly know it will be okay comes from experiencing it firsthand. That’s how knowledge turns to wisdom. Which is why I like keeping a list of scary things I’ve done. You start to see the things you thought were scary were only scary because they were unfamiliar. And that’s the thing about the things that scare you. Once you do them, experience them, you’re not scared anymore.